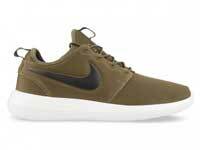 The Nike Roshe Two is a new low-cut performance and lifestyle shoe that uses round, 36-inch laces. It is the second model to release from the Roshe series and features sock-like construction, a mix of neoprene or Flyknit, and an updated midsole. The Roshe 2’s haven’t received as much fan-fare as the ones, but remain a solid choice for both working out and lifestyle wear. 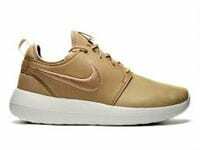 Inspired by the practice of meditation and the concept of Zen, the Nike Roshe hit the scene in 2011 by rookie Nike designer, Dylan Raasch, and Nike Sportswear. This sneaker bridged the gap between running and casual wear using the greatest notes of simplicity. With extreme attention to detail, Raasch made the outsole resemble garden stepping stones, the insole look like a freshly raked Zen rock garden, and topped with enough versatility to rock with or without socks. Love these sneakers, thanks for the info guys! That thick 2-tone sole is what immediately caught my eye here. 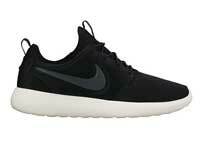 The Roshe Two looks like a durable shoe. I think the round laces really fit the attitude of this shoe. It’s a perfect combo and a good look. Look at those soles. Them black & grey leopards are what I like! 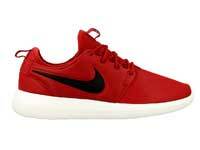 I gonna buy the Roshe Two’s and get the 36-inch laces to go with them. Actually I think I’ll buy a couple packs of laces in different colors to rock em how I feel. Yeah yeah these are smooth yo. Glad you got all the laces to set them off!